What to look forward to at this weekend’s game. When local businessmen Larry Huggins and brothers Timothy and Everett Rand founded the Chicago Football Classic in 1997, their intentions weren’t just to bring to Chi-town the rich tradition of friendly football games between rivaling historically black colleges and universities. They also wanted to pitch the values of education to teens for whom college was considered an impossibility, and to spread the gospel of the HBCU to parents who think Big Ten and Ivy League schools are the only paths to successful higher learning. 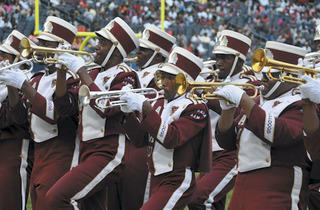 Now in its 15th year, the Chicago Football Classic at Soldier Field does just that. On September 29, prior to the Albany State University versus Kentucky State University game, 3,000 Chicago-area high-school students are slated to attend the college fair at 10am (in Soldier Field’s United Club). Sponsorship from local businesses, including the Chicago Cubs, allows the Classic to provide ten full-ride scholarships this year, up from the average of five in past years. 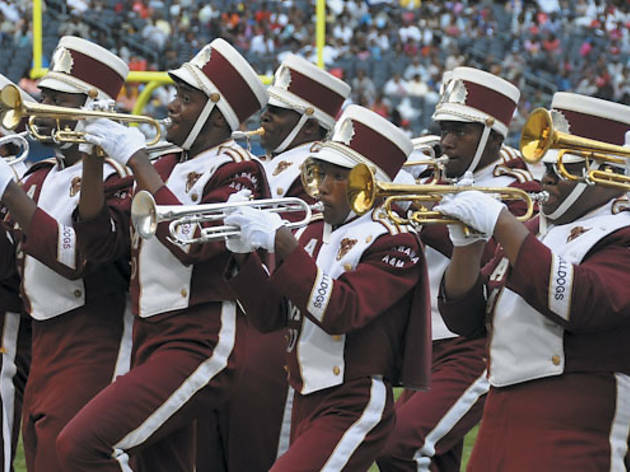 Community service aside, the Classic offers unadulterated entertainment: two Battles of the Bands (high school and college), two step shows and a half-time performance by South Side native and R&B recording artist Jeremih. What most excites Rand, however, is the prospect of a 15th straight Classic with no violence. Employing a term Rand says soldiers use to indicate days with no casualties, he adds, “We want to have as many ‘okay days’ that we can.” The Chicago Football Classic kicks off at Soldier Field, 1410 S Museum Campus Dr (773-874-8000). Sept 29 at 4pm. Gates open at noon; $15–$40.